Two JDC Archives staff were honored to have articles published in two recent scholarly books. These are examples of how the JDC Archives actively interfaces with the scholarly community. 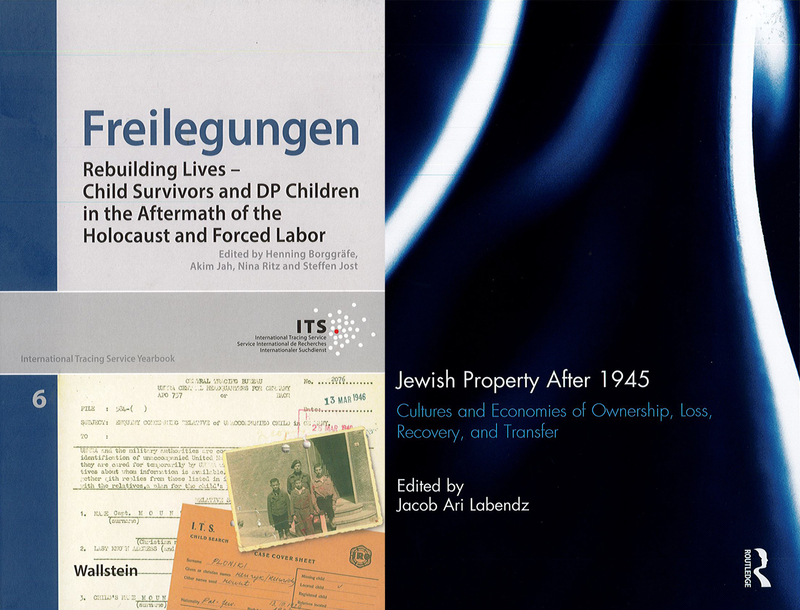 Linda Levi, Director of Global Archives, has published an article on “JDC Archives Online Educational Resources about Displaced Persons and Child Survivors” in the International Tracing Service 2017 Yearbook, Freilegungen: Rebuilding Lives-Child Survivors and DP Children in the Aftermath of the Holocaust and Forced Labour, edited by Henning Borggräfe, Akim Jah, Nina Ritz and Steffen Jost. The volume is based on a selection of papers presented at a workshop on Displaced Persons, Displaced Children and Child Survivors on the Move: New Education and Research, which was organized by the International Tracing Service and the Max Manheimer Study Center in June 2016. Its aim is to improve the understanding of the history of Child Survivors and DP children after the Holocaust, and to shed light on how institutions and archives approach the theme of DPs in their education work. As Linda Levi notes, the American Jewish Joint Distribution Committee provided crucial services to the Jewish DPs including food, medicine, clothing, tools and religious and educational materials. Levi’s article showcases the online documentary material that the JDC Archives has developed to educate the public on the DP camps and the work of the JDC. One special target group, which the JDC Archives seeks to address through its online resources are the DP children who often do not know the details of their families’ experiences. Many of them have contacted the Archives in order to understand the chronology of events. In response, the Archives has curated an online exhibit, Everything Possible: JDC and the Children of the Displaced Persons Camps. It uses a large number of photographs to illustrate the establishment of the DP camps and the different aspects of the children life in them. Another project highlighted in the article is the Archives’ mini website, Our Shared Legacy: World War II and “the Joint,” a resource that enables survivors and their families to search for JDC Archival documents and photographs related to their family during the World War II era and to share their stories with the JDC. The article concludes by highlighting other resources that the JDC Archives has developed to educate the general public about the DP camps, such as its topic guide, JDC in the Displaced Persons Camps (1945-1957), which draws from the Archives text, photograph and audio visual collections. Jeffrey Edelstein, JDC Archives Digital Initiatives Manager, has published “Reconnecting with a Fugitive Collection: a Case Study of JDC’s Warsaw Office, 1945-1949,” in Jewish Property After 1945: Cultures and Economies of Ownership, Loss, Recovery, and Transfer, edited by Jacob Ari Labendz. The volume is an outgrowth of a workshop convened in March 2015 at the Center for Research on Antisemitism of the Technical University in Berlin. It explores contesting conceptions advanced in the postwar years about the ownership of properties which had belonged to Jewish communities in Europe, North Africa and the Middle East. 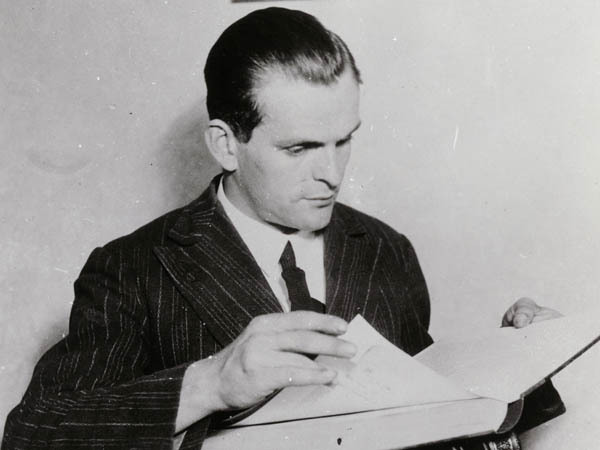 Edelstein’s article deals with the records of JDC’s Warsaw Office (1945-1949). This major collection, which comprises more than 500,000 digitized pages, attests to the massive relief effort that JDC initiated in Poland in the immediate aftermath of the war. Between 1945 and 1949, JDC’s main objective in Poland was to provide financial aid, as well as food, medicine, clothing, raw materials and machinery to those in need. In addition, JDC supported political, social, cultural organizations, as well as youth and religious associations. The Communist government’s decision to eliminate most of the Jewish organizations and institutions in Poland at the end of 1949 led the JDC branch in Poland to cease its operations. As Edelstein reveals, the JDC staff in Warsaw prepared to shut down the office, packing its files into fifteen crates. The Polish government confiscated the crates before they could be shipped, ultimately depositing most of them in the basement of the Jewish Historical Institute (JHI) in Warsaw, where they remained untouched for 50 years. In 2002, the U.S. 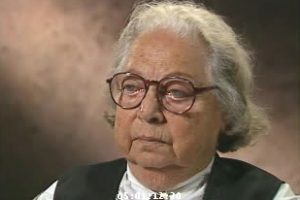 Holocaust Memorial Museum (USHMM) with assistance from the Swiss Banks Settlement, identified archival sources that contained the names of victims and survivors of the Holocaust. Through this project, it microfilmed the records of the JDC’s Warsaw Office, still housed at the JHI. 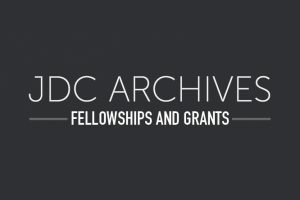 In order to ensure that the documents be accessible and searchable by the general public, the JDC Archives subsequently obtained permission from the JHI and the USHMM to borrow the microfilms and digitize the collection. The collection was opened to the public via the JDC Archives website in December 2014 and is now searchable online. 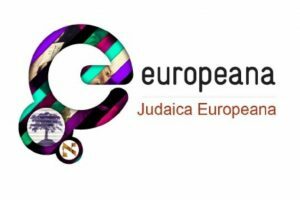 The collection is among the most significant of JDC fugitive collections given the activity that it documents and the size of the Jewish community in Poland in that period.